What happens when a runner starts CrossFitting? Tim VanRhein came to us an advanced runner; qualifying for the Boston Marathon. 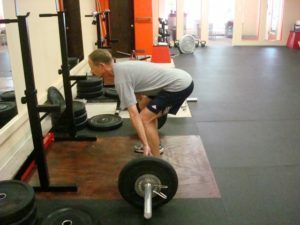 Since starting at Gateway CrossFit 2.5 months ago he has tripled his deadlift weight and shaved over 20 seconds off his mile time -while training LESS than he has previously. The importance of strength and power in athletics cannot be overstated. … [Read more...] about What happens when a runner starts CrossFitting? Coach Josey on the stopwatch! "You call that fast? I drool faster than that!" 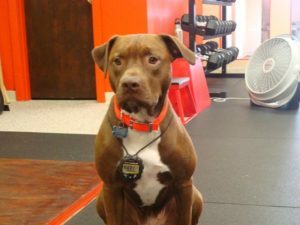 Watch out for Coach Josey; she's a real pit bull. :-) But why the emphasis on time? Because power = (mass x distance)/time. The less time you in which you do your work, or the more work you do in a time period, the greater the power output. And power also = intensity; and that's where the results are! If you aren't increasing your power, you aren't getting more fit. … [Read more...] about Coach Josey on the stopwatch!